Taxpayer foots bill for eight chauffeurs used for Barack Obama’s golf holiday here. Bloody Key! It’s his waster of a golfing buddy. Neither of those two sods is short of a bob. Why couldn’t they pay for themselves! We’d bloody have to! Bludgers, the pair of them! Wot? Neither of the beggars is a backbencher. More like backscratcher! Cheap Geeza when you compare with the new bludger couple who are destined to come here. Past visits bt that families member are around 30 million everytime the step off the plane. History will show Key was NZ’s worst P.M.
His legacy- selling NZ off to foreigners,destroying the Kiwi Dream and indebetedness for future generations to…repay. Your abject hatred of him counts in as much as it demonstrates how polarising effective and great and beloved politicians are. cheeky answer…not sure,but would they be in good company? Assad enjoyed his stay there….apparently! Blazer wins that one ! Assad has changed sponsors from Blair to Putin so probably won’t be shacking up in the Palace anytime soon either. And what did Hilary cost us ? Well she bought our PM a gift and we chucked many millions to her “foundation”. Another bloody outrage! Bludgers -the lot of them. Bad weather up north by the look of things. Honestly, that pack of wankers should just be abolished. “Anyone hoping that the current purge of the Human Rights Commission will go far enough to flush out the hubris at its core is likely to be disappointed. “Ban”? I would like to know what is meant by this? Can HRC actually ‘ban’ things? Don’t they spend their time making rulings and recommendations on ‘discrimination’ that has already occurred …? Presumably they would lobby for a law change if they can’t find one already to hang it on via their interpretations. And this “proposed free-speech ban” gets enforced … How!? Oh yeah, I forgot, by the new State Agency for Censorship, which, via Centralized Super-Computer technology, somehow reviews and redacts all printed and new-technology audio-visual and written material before it’s “published” … and sends out ‘field operatives’ to silence ‘freedom of speech’ activists …? its plan to make what it calls “disharmonious speech” aimed at religions an offence. In other words I could be prosecuted for calling Islam a stupid religion which it is. The main problem with abolishing schools is parents. So the answer is more choice for those with the will and skills. As charter schools were trialling till the unions killed them or vouchers would offer if the Left would allow them. Because the essence of socialism is the right of Government to control every aspect of your life and to make everyone think the same, live the same and “earn” the same. Yes, the main problem with abolishing schools is parents. Hill Cone wants alternative approaches where there are lots of books and art materials and mattresses for making into forts and the kids bright and delightfully eccentric. She then opines that there should be more schools like the one described but it would be hard to keep such schools afloat in the face of bureaucratic and financial challenges and realises why there aren’t more similar. Do most parents want schools where kids are ‘all over the shop’? Don’t most parents want compliance and conformity? Why the proliferation of school uniforms into primary schools particularly in the past 25 years? Do parents want to trust professional educators to come up with and operate ‘alternative’ programmes and approaches? When the overwhelming drive now is to control what happens in schools because whoever works there and the boards who run them can’t be trusted? The model Hill Cone talks about seems to be more or less the sort of approach of Summerhill School. Ironic to see that type of model put forward as desirable and worthy when everything put forward by governments here in recent years are diametrically different to that. Not just put forward but championed forcefully by their followers. Who knows … and we’ll never know until we try … or until society has evolved so far beyond the business & colonial administrative management, factory/warehouse model that it becomes impossible to sustain our already groaning, archaic school system? Could any alternative ‘system’ avoid becoming formulaic? Could it be economically more ‘productive & efficient’ than the current model? Can we change our perception to see beyond financial ‘productivity & efficiency’? Teaching is surely going to be radically disrupted by the internet. There is no need for limited local expertise when there is unlimited global expertise to tap into. Just free up the system with education vouchers and let the market sort out all the solutions. I suspect teaching already has been radically disrupted by the internet, in positive and negative ways …? “Vouchers” doesn’t seem like a bad idea, provided everyone has the same opportunity … I’d like to hear others opinions on vouchers? To which I’d counter, “more choice and encouragement for those without the money and supposedly without the will and skills”. Vouchers substantially reduce the money hurdle for those without it. Since it transfers the funding from the institutions to the pupil it enables choice and innovation and will be bitterly fought to the death by the unions. The most critical factor is then parental will. Skills can be bought. Yesterday I heard a documentary podcast which (incidentally) presents a nice contrast to the world as it was and the styles of would-be USA President Bobby Kennedy and the incumbent. 50 minutes long but I found it an interesting listen. You are easily lead my friend. In case you did not notice the entire argument of that piece crashes down when you look at what is happening here around you . We have a labor goverment who is shifting our country towards a carbon free future. Even you must be aware that national will not backtrack on what is happening in New Zealand. Oh, I certainly recognise that Jacinda has mounted the stage. Just that her international audience is voting with their wallets which will leave a future government quietly closing the curtains and putting the chairs up at the back of the hall. NZ will go no further and faster than the rest of the world or that makes economic sense. The rest is just rhetoric. Flyover USA A.K.A trumpie land is not the world Alan. I see your hero is trying to bale out the coal industry yet again. Way to go socialist market intervention to keep the money flowing to his donors . Examine what you linked to with a critical eye and you might just wake up to the crap you are being fed. 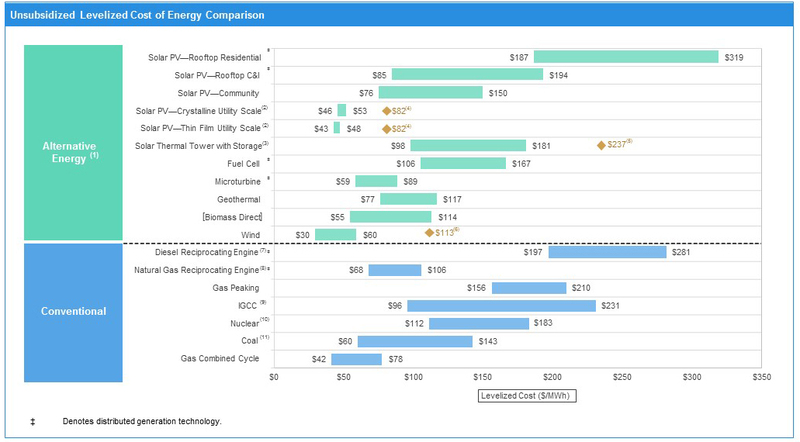 Renewable energy is “cheaper” only intermittently, and only because of massive federal subsidies and state renewable energy mandates. What happened to gas being cheaper ? 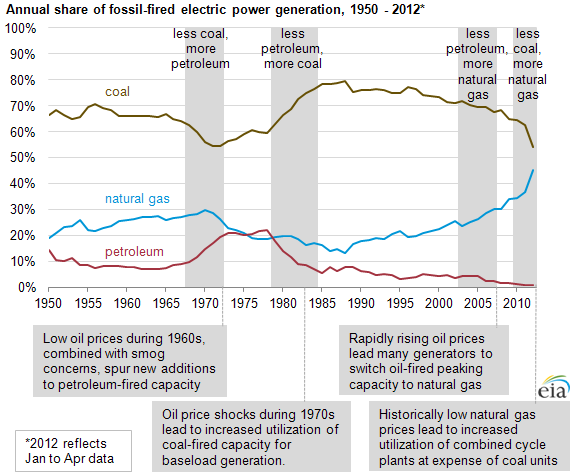 Switch from the real problem for coal, cheap gas, to attacking renewable subsides. The question is actually the introduction of subsides to keep afloat uneconomic coal and nuclear plants. Only works on suckers who stop thinking instead believe what they are fed no matter how stupid. I have trouble following your “logic”. The argument for retaining coal and nuclear power plants is the vulnerability of gas pipe lines to attack or sabotage. Nothing to do with whatever you are trying to say. Wanna buy a bridge mate? They already tried the same crap with a different excuse a few moths ago. It was turned down as bullshite then. The major security threat for electricity is to power lines not gas pipes or distributed renewable energy. You know all about that…. you lost power because some nut shot out a few insulators on the pylons up north recently. As to your link and renewable cost . More crap fed to the cohort of stupid rwnj’s to keep them ignorant. Its about subsidizing dying industry’s for his mates . How do you think? It is a gift to the conspiracy theorists. Okay, that didn’t copy with the current result, sorry about that. So the current standing is 86% yes, and 14% no. Ok, that is an interesting vote considering the purported progressive elite bias of Twitter. Kim claims he’s going after Twitter ..